Highly recommend Your Air Co! Their staff is extremely professional. The owner also runs a training school for HVAC techs, so they really know what they are doing! Highly recommend. I don't often write reviews, but I have been a member of the Your Air Co customer care plan for many years. Every time I call, I receive prompt service from a polite and experienced technician. These guys are great, do yourself a favor and check them out. Your Air has serviced my a/c for years. They are very professional, reasonably priced and never leaving me hanging... Quick to service my equipment. Thank you to Colleen and Joe for your help with keeping me and my family cool!!! Your Air has been servicing my heating and air conditioning needs for years. Their technicians are very knowledgeable and friendly and always take the time to explain to me in full detail exactly how my system is currently operating and how I can get the most efficiency out of my units. I have two units that are over 25 years old and I wouldn't trust anyone else to help me keep them running at peak performance. I know that after this year I will have to replace them due to the freon they use being discontinued, but I feel very confident in Your Air helping me get the best new systems for my home at the right price! These guys are lightning-quick! Reasonable pricing too. I needed to replace my HVAC and these guys were fair, fast , and above all they did the job right! I recently moved away from Houston, and was a bit troubled by the decision because my mom is getting older and I worry about her! When I got the call from her that her HVAC had gone out in December of all times, my nightmare had come true... I called Your Air Co after hours and Colleen and Oscar were EXTREMELY helpful, immediately responding with an emergency repair. When I got the bill, I was surprised by how affordable such a quality service can be. I seriously can’t thank them enough! We Are Your Air Conditioning Company! Your Air Co. delivers unmatched heating, cooling, and indoor air quality services to residents in the Houston, TX area and surrounding communities. Our licensed technicians are committed to excellence, and are trained to deliver solutions that not only meet your needs, but your budget comfortably. Our goal is to deliver safe solutions that enhance your comfort and provide value to your family. We offer 24-hour service to meet your needs whenever they arise. We stand by our service and equipment, with our one-year 100% money back guarantee. Donate to End Breast Cancer! 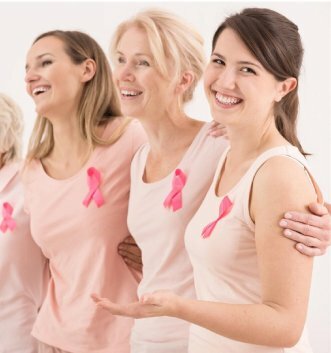 A percentage of our profits is donated to breast cancer research and awareness - a cause we feel passionately about. Through our business, we aim to raise awareness for the cause, integrating the recognizable pink and white color scheme within our branding. To donate, please CALL 281-444-1174 or fill out the form below and we’ll be in touch!